A Bear on Books: "Mute" and "Road Work Ahead"
I was approached last month by Raymond Luczak, a published author, poet and playwright, out of the blue. Mr. Luczak had read some of my reviews, and wondered if I would be open to reading and perhaps reviewing two of his books of poetry. After taking some time to go to his website (www.raymondluczak.com), look at some of his works and learning about this remarkable man, I made the decision to take a risk and accept his offer. You see, Mr. Luczak is a deaf gay man. I am sure he would tell you this makes no difference at all as to how he works and writes and communicates. I agree, to a point. But I grew up with a father who was, at best, hard of hearing and now at 88 is 90% deaf. I know the struggles he has, the frustrations on both his and my parts to get the simplest of points across sometimes, and how much of communication is nuance of speech. 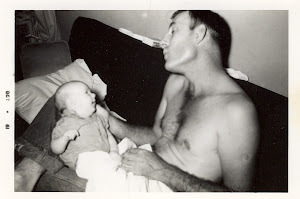 And yet his command of reading body language and lips makes it possible, and this old coot of a dad of mine understands so much more than I ever thought and gave him credit for. So, yes, I was interested in seeing this man's work. And a little scared, to be fully honest. Because my younger brother is the poet in the family, and I find it fascinating, beautiful and intriguing - somewhat like I view the Italian language - lovely on the ear and something that makes me weak in the knees but which I only catch about every 50th word and understand. So bear with this Bear as I venture onto new ground. "Mute" is a series of poems on Mr. Luczak's experiences being deaf, being gay, being a man, and being a gay deaf man. And it is powerful, eloquent and ever so touching. The command of language here is stunning. I read these poems to myself both silently and aloud, and was amazed that the two experiences matched up so snugly and completely. Because here is a man who bares his weaknesses, his heart, and his hopes and fears. Each poem stands alone, each in a different style, and each complete and haunting. Because the frustration, the pain, the joy and the sorrows of connections made and lost, of promises kept and broken and dreams imagined and trampled roll off of the page and into my heart and soul. I was so genuinely moved. And the imagery - so simple and yet so profound. "Words fail when hands alone bleed". of signs I never had growing up. but your flask was much too slender. I kept clicking my parched tongue for more." for he will stamp it with approval. A deaf man is always a foreign country. He remains forever a language to learn." much eye contact he requires. Do not be afraid of his face." telephone poles and corner signs are. This is a newer work, and a totally different focus and journey for Mr. Luczak. For this brilliant, balls-out and heart-wide-open series of poems are about relationships. Friends and lovers, beginning and ending, joys and sorrows. Mr. Luczak pulls no punches here, confronting both himself and others with incisive, brutal honesty. From "Farewell to A.R. 1990"
wherever you'd go. But did I want a lover? years had I felt so scared by anyone walking close to my heart." no longer twenty-three, I've become cautious with my heart. You remain a closed suitcase. It's time I go." and I have mine. We are well-oiled machines. as you read cookbooks, both old and young. I nurture lines dirtying the screen. I polish my craft until its sheen is clean. on either side of the wall. Nothing to it. and how we learn to turn blind to whom we see." That speaks so loudly and personally to me - how the slow coming together of two men in love can drift, the comfort and sameness strangling and dooming the relationship. How simply put, how accurate, how deadly. Mr. Luczak absolutely nails all the banality, the joys, the fears, the comfort and the strangeness of two people interacting. I recommend this tough and tender ode to love and loss to anyone. Give this talented and wonderful poet a read. I did, and want more.